Portrait of the Artist: Order Issue 12 Online Now! 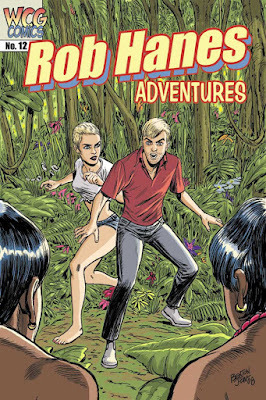 After a brief embargo to give comic-book retailers priority to order advance copies of Rob Hanes Adventures #12 for their stores and customers, the issue is now available online at the WCG Comics website! So if for some reason you were unable to purchase the issue at your local comic-book retail store, you may now order it direct from WCG. To order, visit the WCG Comics website, or go directly to our online store. In the issue, Justice International private eye Rob Hanes is hired to extradite a beautiful female felon back to the U.S. and becomes stranded with her on a desert island in the Pacific after their plane goes down. Cover by guest artist Benton Jew. For a preview, click here. New RH Adventures Pin Buttons! 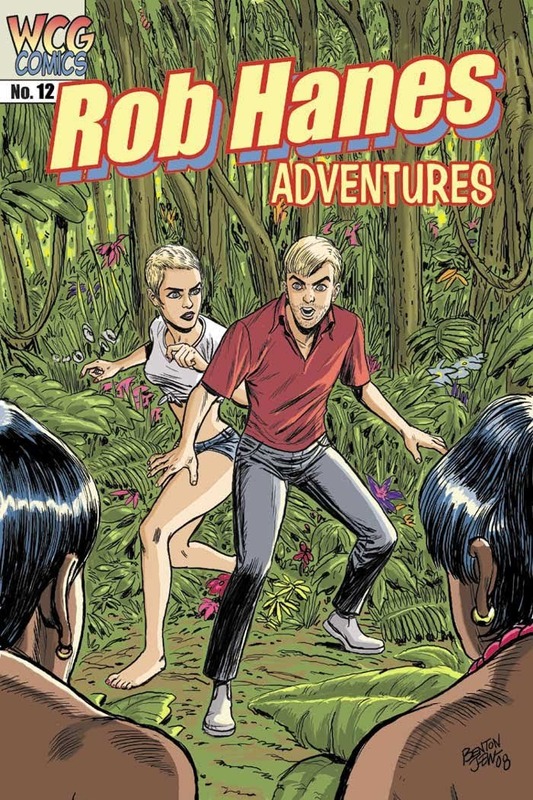 I'm pleased to finally report that the first volume of the projected trade paperback collection of the Rob Hanes Adventures series is close to reality! The series has been completely re-lettered (replacing my earlier hand-lettered effort), which required some digital retouching of the art. Expect a more official announcement and promotional push soon regarding the release of the trade! While adding the newest items to the online catalog, I made some minor upgrades to the WCG Comics website. In addition to some minor design tweaks, visitors will see a fancier and traditional online drop-down navigation menu bar at the top of most pages at the site. Let us know what you think! Looking for it cover? Will the minis be in it? Looking forward to the TPB. How much will it cover? Will the minis be in it? 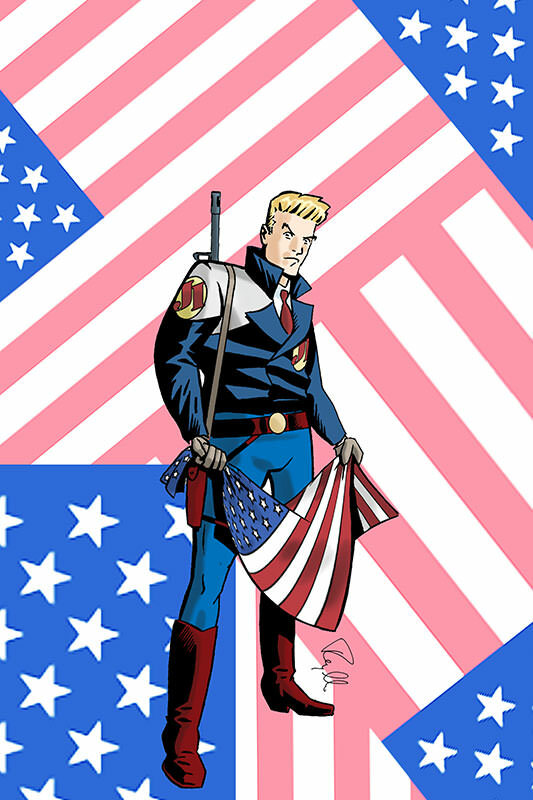 The new TPB will collect issues 1 to 4 of Adventure Strip Digest (hence, volume 0). After that, I'll begin collecting RH Adventures. Most of the minis were collected in the RH Archives trade. At this time, there are no plans to reprint that volume, partly because I still have those in stock!